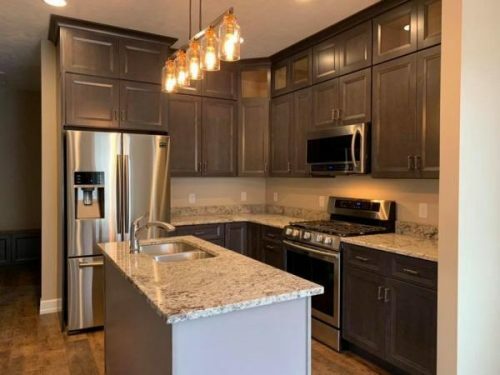 AV Cabinetry, in Sioux Falls, SD, have announced they can provide local customers with custom and semi custom kitchen cabinet design and installation. The company are known for their excellent service and customer satisfaction. AV Cabinetry LLC have announced they can provide local customers around Sioux Falls, SD, with custom and semi-custom kitchen cabinet design. The South Dakota cabinet makers are known for their high quality service and always work hard to get customers the best results. AV Cabinetry is a veteran owned company with a special emphasis on the highest quality products, design and installation. Customers can get in touch knowing their vision and projects goals will be completed on time and to the highest specifications. Whether customers are looking to remodel their kitchen, bathroom, or even add cabinets to their mud or laundry room, the team at AV Cabinetry can cover all their customers’ cabinet needs. Among the features provided, customers can benefit from solid wood designs that will last them for years to come. Each installation comes with a five year warranty for added peace of mind, and there is a lifetime warranty on door hinges and drawer tracks. Custom cabinet designs can be created, and dovetail joints, face frames and support rails are available. Customers can also get soft-close hinges and tracks, which are available on most models. Some of the custom options available include tilt outs, drawer inserts, pull outs, cutlery drawers, stemwear racks, roll outs, trash cans and mill work. There are a number of reasons homeowners like to remodel their kitchen and add new kitchen cabinets, including enhancing functionality and lowering energy costs. It can also improve the look and feel of the home with a modern and up to date appearance. Getting new, modern installations can also help to improve the safety of the kitchen, while adding to property value, comfort and appeal. Anyone in the Sioux Falls, South Dakota area looking to transform their home with a new installation or new cabinets can get in touch with AV Cabinetry LLC for all their project needs.